Anchoring a wreck is a real skill that needs plenty of practice to become consistently accurate. I can only relate to the circumstances that I had in the Central English Channel so you will have to adjust any details to suit your area. Most of the time we drift fished the wrecks, in the early days we used Decca Navigators which just gave a numerical read out, this needed some mental gymnastics to enable a drift to be set up accurately. Since the advent of GPS and particularly chart plotters it has become really easy to see what the influence of the wind and tide are and enables the skipper to fish the most productive parts consistently. On the smaller tides the drift fishing often became unproductive as the tide slackened and some groups would prefer to fish at anchor. I would wait until the drift speed had dropped to 1.5 knots then steam up current 25/100’s drop anchor and drift back until we were 10/100 off the wreck. In the average depth of 65 meters that we fished this would put the baits just uptide of the wreck if the lines went down at 45 degrees. As the current slacked we reduced the weights to keep the lines at that angle. No matter how much you practice you won’t get perfectly lined up on the wreck every time. You can make a small adjustment by putting the rudder hard over but if that does not do it the boat can be sheered by attaching a line to the anchor rope (use a rolling hitch). By leading this down the side opposite the direction you want to go then paying out a bit of the anchor rope you can fly the boat across the current like a kite. There are 2 problems with this tactic, I is this puts more strain on the anchor and it may drag and 2 as the current eases the effect will be less and the boat will swing back. The real answer is to haul the anchor and drop it again. 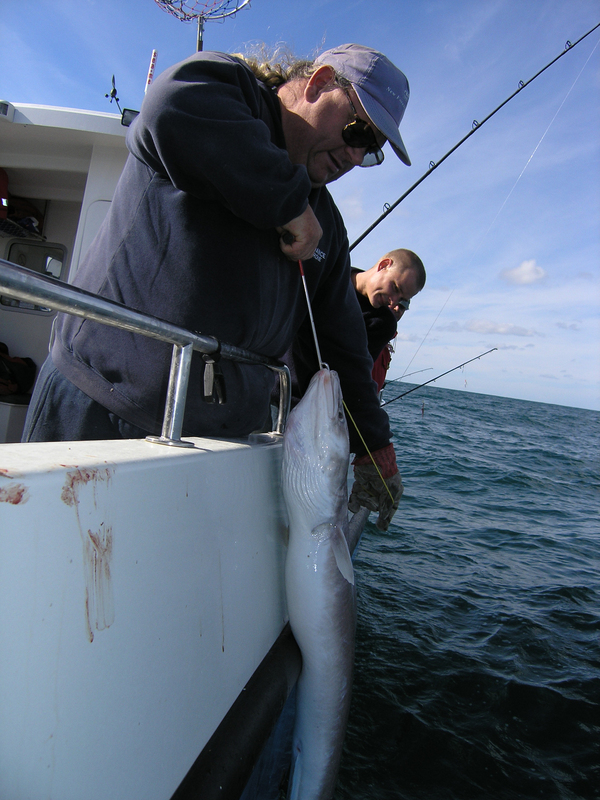 Conger were the most prolific species that we targeted and often the bites would start within a few minutes, some times I would end up running round the boat shaking eels off with a T bar one after another. 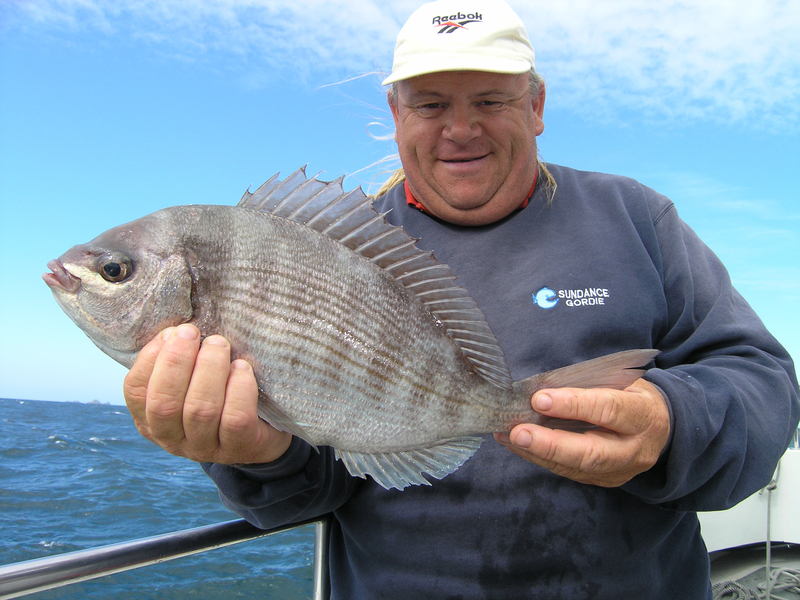 Ling were a bit of a bycatch and always welcome but it was the black bream that gathered around some wrecks in late summer that became specialist trips. 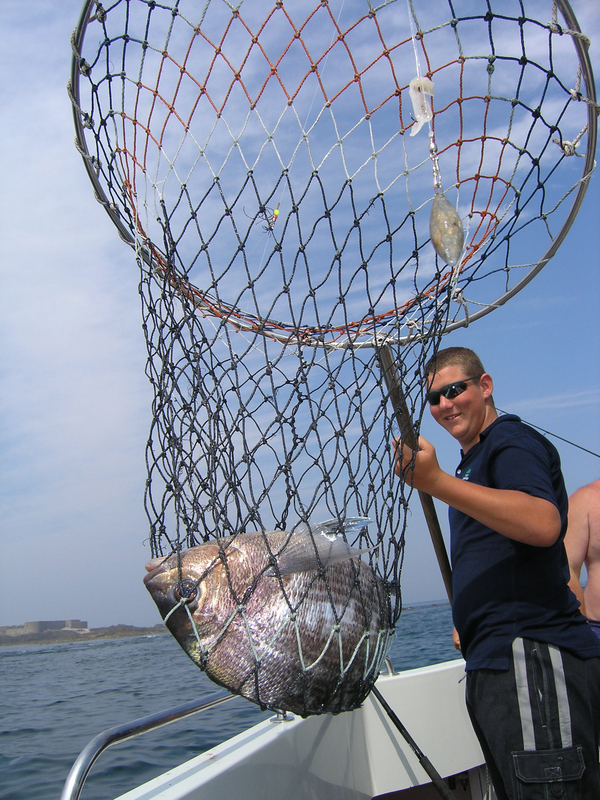 One pest we had during these bream trips was porbeagle sharks they could become a real nuisance biting off plenty of our good eating fish. 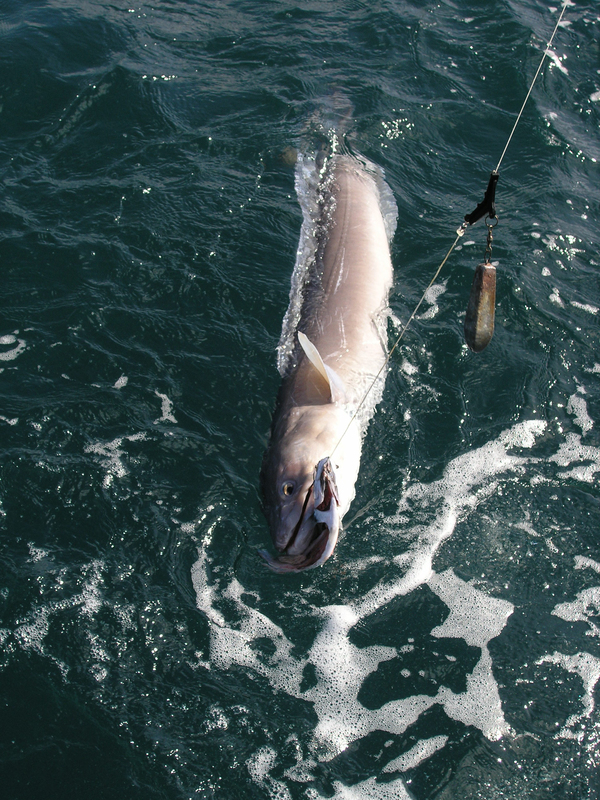 A trip to Holland proved to be a real eye opener for a different way to fish at anchor. After drifting the wreck using pirks the skipper anchored us almost over the hulk then anglers cast fairly light and fluttery pirks uptide and proceded to jig them back towards the wreck, the cod fishing was fantastic. On my return I tried this out whilst my anglers were fishing for conger, lo and behold it worked a treat and soon half the crew were casting and jigging too! 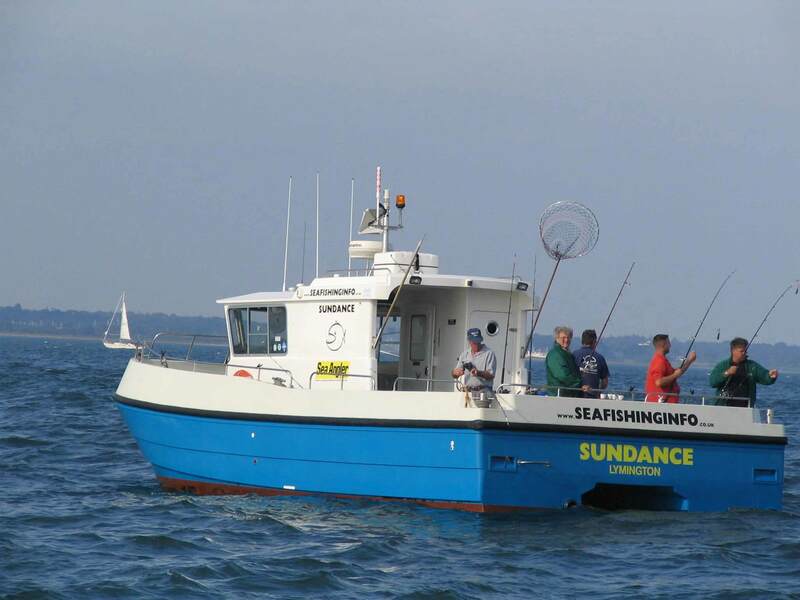 This entry was posted in Boat fishing and tagged Roger Bayzand, Sundance. Bookmark the permalink.